Southern In Law: Still saying YES! If you're new to Southern In-Law (first of all.. hello!) 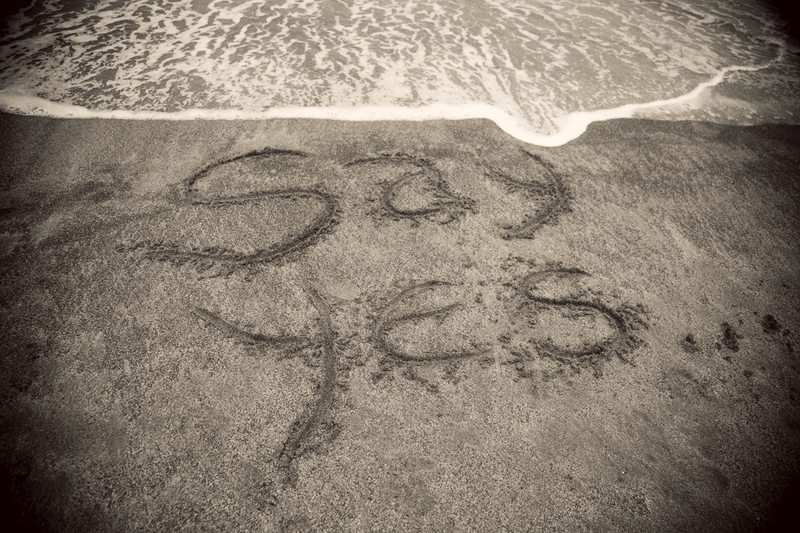 you mightn't know that I committed to "Saying Yes"Yes". This personal goal/mission is about opening new doors, taking risks and trying things that are out of my comfort zone. Firstly, saying yes payed off when I got my new nannying job and lately I've had so many exciting new opportunities that I'm sticking to my goal of saying yes more often. I'm not going to say yes to anything stupid or law breaking - for obvious reasons. Today I started my new nannying job - though I'm not quite as fabulous as Fran Fine. I'd been feeling sick as anything all weekend and spent most of Sunday in bed with head spins, nausea, a headache and a fever - just to top it off. I spent my weekend with 501 food aversions and only wanted to eat salty foods, dry foods, applesauce and bananas. Even peanut butter got the out! (and this is how Jesse and my family knew I was really feeling horrible). I could have easily said no as it was just a getting to know things kind of day and I was feeling terrible, but I thought... screw it.. I'm saying yes. I'm still feeling sick now but hey, it didn't kill me! It just goes to show that while sometimes there may be an easier or more comfortable option, you just have to say yes. Staying in your comfort zone all the time doesn't get you anywhere! Last week I also said yes to a dreaded blood test. You see, I'm terrified of blood AND needles - so a blood test is the ultimate punishment. However, I said yes because I knew I needed answers - sure it wouldn't be comfortable and the eight vials of blood they stole from me left me feeling dizzy for the rest of the day, but I survived! So tell me - what was the last thing you said YES to? and what's your go-to nausea fix? For me, when I'm nauseous, all creamy foods have to go. My stomach also can't handle dairy during a flare up (not that I even want it) so that stays clear of my plate too. I swear by salty popcorn, Mighty Mite rolls, dry cereal, salty crackers, bananas and applesauce - and sometimes plain rice with more salt (sodium phobics would be cringing right now - but I promise you, my sodium levels always come back on the low side). I also swear by my acu-pressure bands (velcro ones are the best! ), ginger tablets and super strong peppermints when I'm feeling nauseous and they are all in my purse for bad days. It's getting a little obvious that I have constant nausea, isn't it?